Actor Suriya made his mark in the Tamil film industry with some remarkable films like Kaakha Kaakha, Pithamagan and Vaaranam Aayiram. He made a successful debut alongside Vijay in director Vasanth's Nerukku Ner, in 1997 but it was director Bala, who gave him his first major breakthrough with the film Nandha, in 2001. Since then, he has proved his versatility, experimenting with different roles and growing from strength to strength with every film. Suriya is married to popular Tamil actress, Jyothika, his co-star in Kaakha Kaakha, Perazhagan and Sillunu Oru Kaadhal. Singam was Suriya's third collaboration with director Hari, after the success of Aaru and Vel. This was Suriya's 25th film and was released amidst high expectations. Singam had all the elements of a potboiler and went on to become one of the biggest box office successes of that year. Its massive success prompted a sequel in 2013, and that too was a blockbuster. The film was later remade in Hindi by Rohit Shetty as Singham, with Ajay Devgn playing the lead, and as Kempe Gowda in Kannada and Shotru in Bengali. Suriya made his debut in Hindi cinema with Ram Gopal Varma's Rakta Charitra, a two-part political revenge saga that was also released in Tamil and Telugu. He played the lead in the second part and gave an exceptional performance as a young man seeking vengeance for the murder of his father. The film failed at the box office, but Suriya was applauded for his perfect execution of the character -- eyes blazing with cold fury and hatred and intense dialogue delivery. 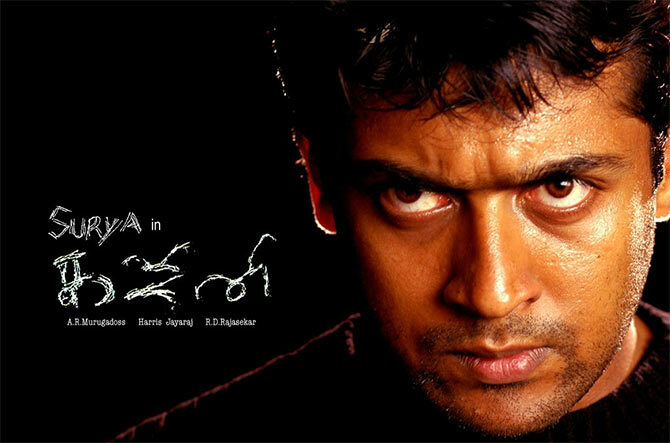 Written and directed by cinematographer/director K V Anand, Ayan featured Suriya, Prabhu and Tamannaah in the lead roles. The film was a commercial entertainer. Suriya played a shrewd youngster deeply involved in CD piracy and a diamond-smuggling racket. Ayan opened to positive reviews and went on to become the biggest blockbuster of 2009. Even the Telugu version, Veedokkade, was a huge box office success. Suriya played a dual role in Gautham Menon's Vaaranam Aayiram along with Simran, Divya Spandana and Sameera Reddy. The film spanned two generations with Suriya playing both the father and son. It was a demanding role, both physically and emotionally. Suriya successfully portrayed every stage of life from a cocky 16-year-old, an endearing lover, a heartbroken drug addict, the mature army officer with six-pack abs to a frail old man, slowly dying of cancer. The film won many accolades including the National Award for Best Feature film. A R Murugadoss's Ghajini, a psychological thriller, enjoyed both critical and commercial acclaim and became a huge blockbuster. Suriya’s character had two totally different sides and he was equally compelling in both. He played a charming rich businessman deeply in love with Asin, a small-time model, in the first half of the film. The transformation from a suave lover to a scarred, dangerous looking murderer, suffering from a form of amnesia, out to avenge the death of his lover, was truly phenomenal. Aamir Khan played the role of Suriya in the Hindi remake of the same name. 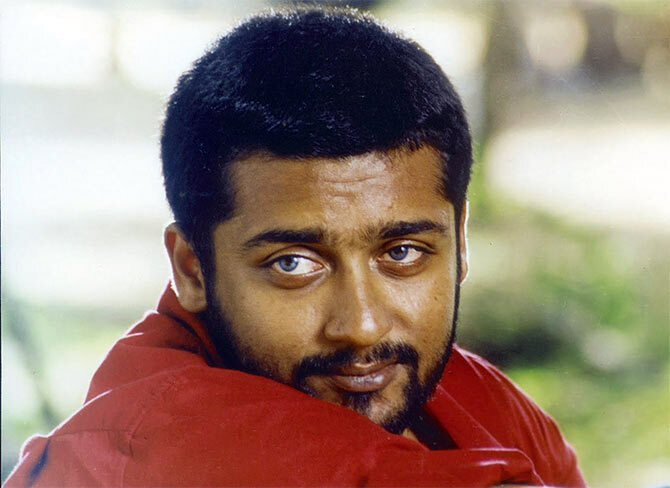 Perazhagan was Suriya's third continuous success following Kaakha Kaakha and Pithamagan in 2003. Both Suriya and Jyothika played dual roles. 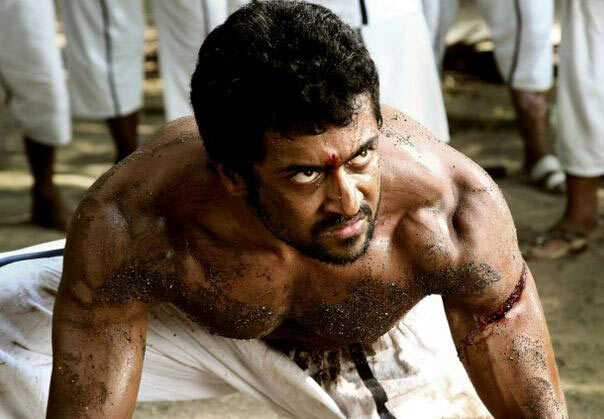 Suriya was incredible as a physically challenged person with a hunchback running a small telephone booth, as well as the aggressive college student adept at boxing. Suriya was at his comic best in Bala's Pithamagan, a multi-starrer, which won several state awards, as well as the National Award for Vikram for his brilliant performance. However, it was Suriya's superb portrayal of a conman, who befriends Vikram that kept the audience entertained. Laila was paired opposite him once again and together they brought the roof down with their impeccable comic timing. 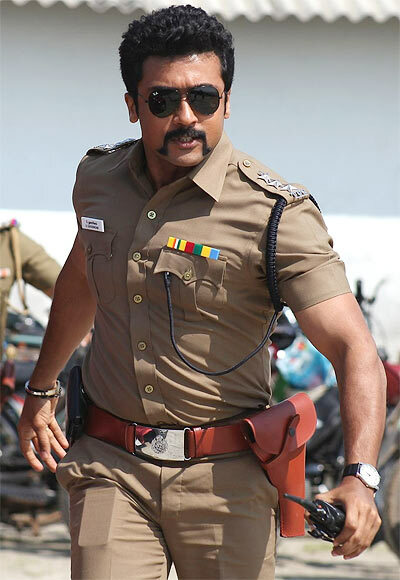 Gautham Menon's Kaakha Kaakha, a crime thriller, was one of Suriya's biggest blockbusters. His role as the cop Anbuchelvan earned him rave reviews. Overnight, Suriya became a household name. Jyothika was his co-star in the film and their on-screen chemistry was pure magic, making it one of the biggest strengths of the film. Suriya married Jyothika in 2006. Suriya's performance as a die-hard cynic, totally against the concept of love and relationships in Ameer Sultan directorial debut Mounam Pesiyadhe, was hugely appreciated. The film went on to become a big hit and was later remade in Telugu as Aadanthe Ado Type. Trisha played an important role in the film along with newcomers, Nandha and Mahaa. Ace director Bala's Nandha was the turning point in Suriya's film career. Interestingly, the role was offered to Suriya only after it was initially refused by Ajith. 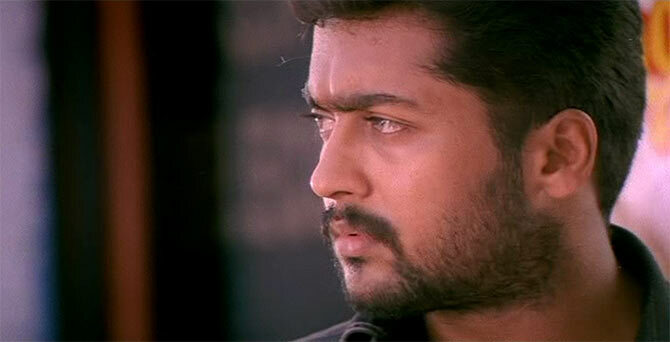 Suriya won critical acclaim for his excellent performance as a silent young man who returns to society after a stint in a juvenile home for killing his father. Laila played the female lead, while Rajkiran essayed a significant role. The film was a huge commercial success.